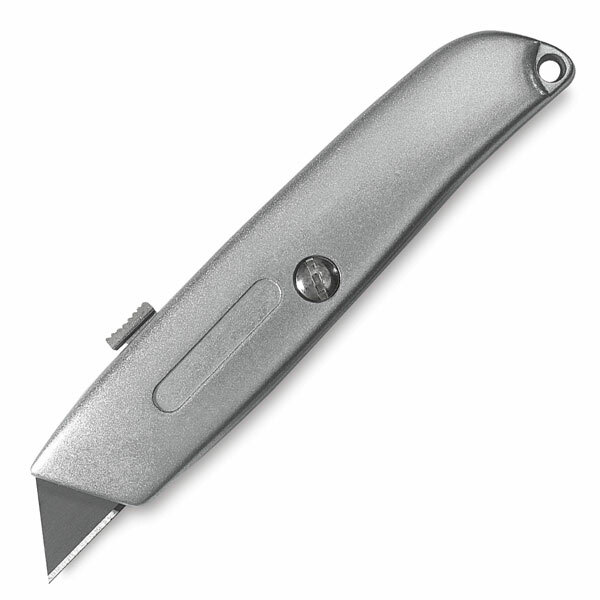 This rugged utility knife has a 4-position blade and a zinc die cast metal body. The Alvin Utility Knife includes one blade. Spare Blades — Package of five blades.